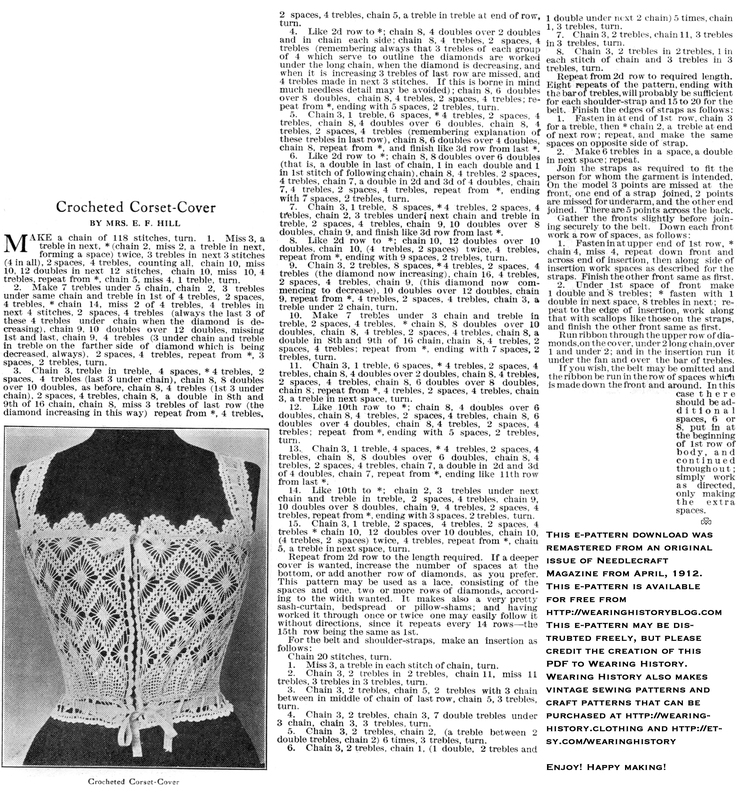 I’m happy to be giving away a FREE e-pattern today for a crocheted corset cover from 1912. Isn’t this just lovely? This is from the April, 1912 issue of Needlecraft Magazine and I remastered the image and made a PDF so you can save and print it. If you do make it, please share a photo! Beautiful! Thanks for making this available. Lovely – thank you for the pattern!